Version 1.3.6 available - El Capitan brings AutoKill back to Safari! Now available on the Mac App Store! We all love YouTube videos. We all love Homestar Runner. But we don't love it when Flash ads or other Flash-related junk forces our processors to run hot and leech our precious battery fluids. Your 5-hour battery life gets cut in half, your laptop runs hotter, and your legs cook to medium-rare. That's where FlashFrozen comes into play. FlashFrozen lets you stop the Flash plug-in dead in its tracks, letting your new-fangled Mac cool down, use less power, and give you more time to do whatever it is you do. Probably blog or tweet or something. And the new AutoKill mode actively stops Flash at all times. Turn this on and off at will to save even more battery life. In Chrome, Opera, Firefox, and Safari, the Flash plug-in is pushed onto its own process. FlashFrozen lives as a tiny menu app, monitoring this process and will warn you (by turning red) if Flash is using a relatively significant amount of processor cycles. 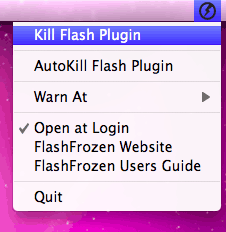 You can then go to FlashFrozen's menu to kill the Flash plug-in. Any running Flash content is replaced with the broken plugin icon. Want to get Flash working again? Simply reload the page, or go to a new one. The next time Flash is needed, it'll come back to life. That's hot. Improved stability in El Capitan's Safari brings back AutoKill mode for OS X 10.11 and higher. Improved support for Chromium browsers, including Opera. By popular demand: AutoKill Mode now available! You can now set FlashFrozen to automatically and immediately stop the Flash Player plugin whenever a webpage tries to load it. If you eventually need to watch Flash content, simply turn off AutoKill Mode and FlashFrozen will behave normally again. I just opened FlashFrozen, but I don't see it! Check your Menubar. It's by the clock, AirPort menu, Volume thingy, etc. Is FlashFrozen compatible my new Haswell Retina Display MacBook Pro running OS X 10.9 Mavericks? Yup. It looks all crisp and pretty on your fancy future rig. And it works, too! ...and funny. When this FAQ was first written in 2013, that was high-end. Now your computer is obsolete junk. How time flies, eh? I downloaded from the Mac App Store, and I don't want FlashFrozen showing up in my Dock! Then drag it out. Seriously. That's all you need to do. Make sure you check the "Open at Login" option in FlashFrozen's menu to continue using it, though. I'm installing an Adobe CS6 app, and the installer tells me to quit FlashFrozen! Is FlashFrozen dangerous? Should I act on this newfound fear that has been instilled in me? It's best if you do not run any of these applications ever. Whoa, did you change the icon? Why? Because I was told to. It was the only way to stay on the App Store. 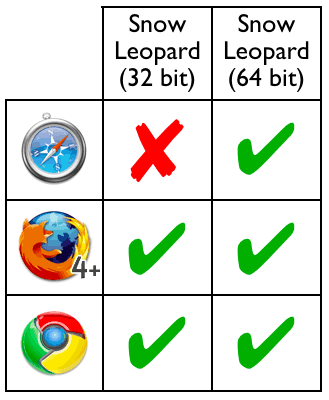 Why only 64-bit for Safari? Because only 64-bit Safari runs Flash as a standalone process. 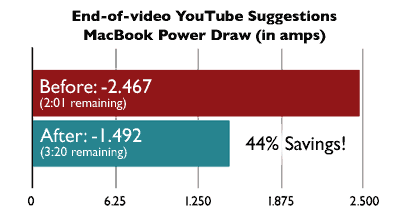 On original 32-bit Intel Macs (or 64-bit Macs with Safari set in 32-bit mode), it won't. What about PowerPC Macs? We need this too! Sorry. Can't run Snow Leopard on a PowerPC Mac. I tried. How dare you discriminate against Opera? It's the superiorest browser! What? Opera is supported. Quit being such a victim. Why not just run a normal Flash blocker in the first place? That's a good idea too. In fact, I do both. ClickToFlash does a great job of keeping stuff from loading in the first place, but anything you've white-listed or clicked on is still going to load, and there's no easy way to stop them without closing your windows or tabs...unless you use FlashFrozen. When and at what CPU% does FlashFrozen start warning me? FlashFrozen checks the Flash process' CPU% every 10 seconds. 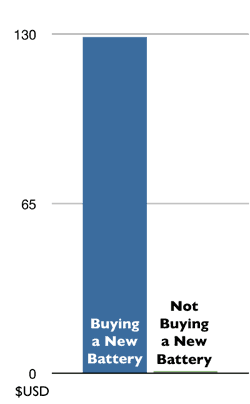 At 30%, the icon turns red. Below that, it's black. If Flash is completely idle or not running at all, the icon's grayed out. You can change the threshold used with the "Warn At" setting in FlashFrozen's menu. In AutoKill mode, FlashFrozen will check and kill every running Flash process every 1.5 seconds. Hey, I really liked VisualHub. If you're having trouble with registering in Lion, there's a fix for that. C'mon. What about Safari on my old Core Duo MacBook? I'd love to support 32-bit Intel Macs, but only the 64-bit Safari does process separation. Firefox still does process separation for your Mac. I'm sure Apple won't mind if you use a competing browser. Flash is a trademark of Adobe Systems, Inc.
YouTube and Chrome are trademarks of Google, Inc. Or maybe Alphabet, Inc. It's hard to tell. Mac OS X, OS X, Mac, MacBook, Snow Leopard, Mountain Lion, MacBook Pro, App Store, and Safari are trademarks of Apple, Inc. Core Duo is a trademark of Intel Corporation. Firefox is a trademark of the Mozilla Foundation. PowerPC is a trademark of International Business Machines Corporation. Opera is a trademark of Opera Software ASA. Homestar Runner is a trademark of The Brothers Chaps. "That's Hot" is a trademark of Paris Hilton. ":(" is a trademark of Despair, Inc.